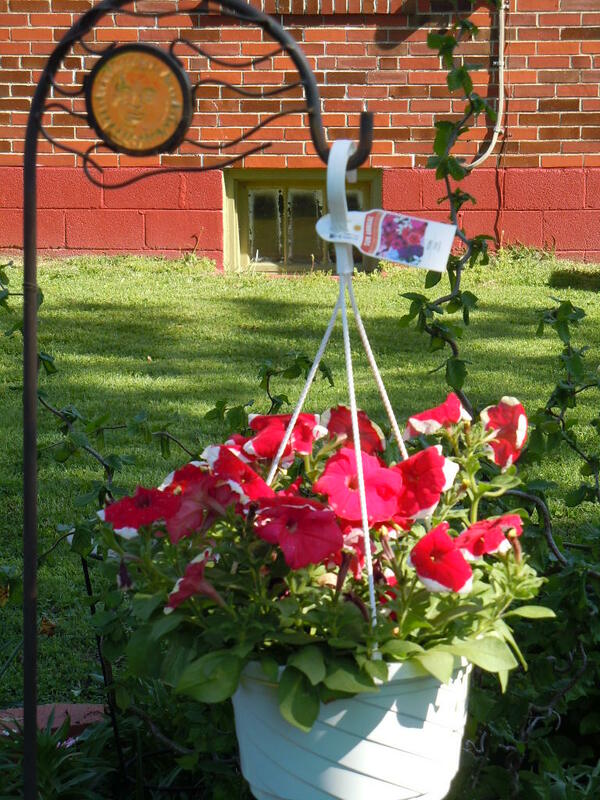 One of two hanging baskets we’ve already bought for our shepherd’s hooks for the yard. It was a bit early, but we brought them inside for the touch of frost we had last week. We don’t invest a lot in annual flowers that don’t come back, but baskets hanging on the hooks makes the yard interesting and gives it a bit of depth, bringing flowers up off the ground. I enjoy them and they are easy to dispose of and recycle at the end of the season.